Carbonite mobile app for BlackBerry | BlackBerry Blast! If you use Carbonite for your backups you can now access your data from your BlackBerry. 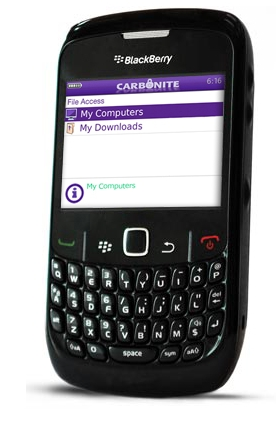 Carbonite for BlackBerry launched about a month ago, but it was only running on a few devices. Now CrackBerry says the app has been updated to support many more BlackBerrys including the Pearl Flip, 96xx, 89xx, 83xx, 85xx, 9000, 9700 and Storm. The app is free to download from carbonite.com/blackberry.